For this photo, the bride pulled up her wedding dress to show off the two garters already slid onto her thigh. 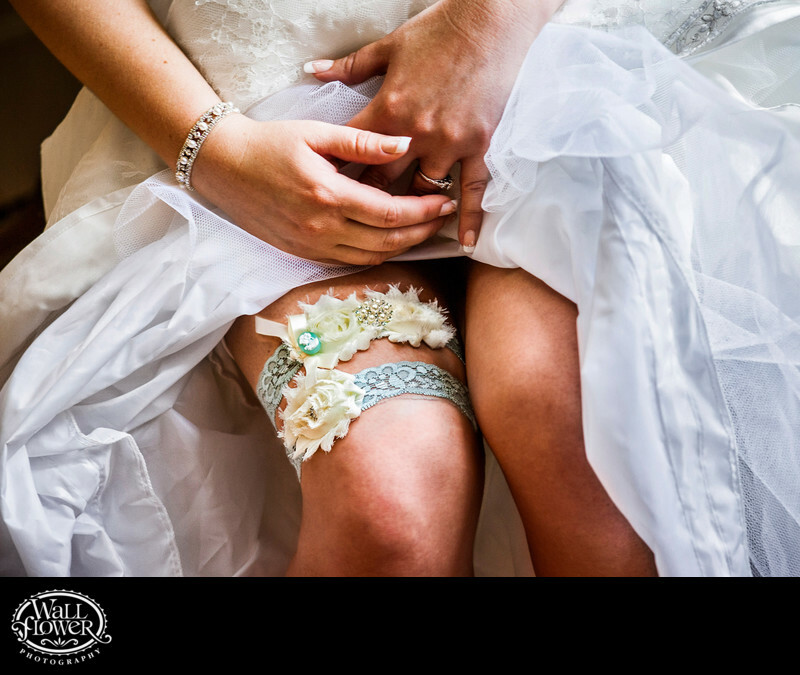 One garter is for the groom to pull off and toss to his single male friends later during their wedding reception at Thornewood Castle, and the second garter is for him to remove in private later and save as a wedding keepsake. The bride's wedding ring and bracelet also get subtly featured in this detail photo.